Scorched earth tactics are rarely the best initial option for achieving my clients’ goals, but I’m prepared to be an aggressive advocate in the courtroom after every reasonable alternative has been exhausted. I’m also highly accessible to my clients when they need real-time solutions to problems that arise outside of normal business hours. The client’s problems are my problems. Mike Bishop focuses his practice on representing debtors, creditors, committees and other constituents in all types of bankruptcy proceedings. He has 30 years of experience guiding clients through every phase of litigation before bankruptcy courts throughout the country, including in Texas, Delaware, New York and many other jurisdictions. He also has significant experience handling out-of-court workouts, creditor's rights, officer and director liability issues relating to insolvent entities, and other insolvency-related litigation. 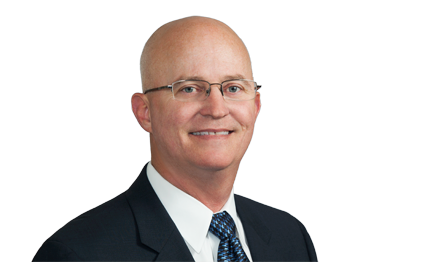 Mike is Board Certified in Business Bankruptcy Law by the Texas Board of Legal Specialization. Mike has successfully resolved bankruptcy matters involving complex issues across a variety of industries, ranging from energy and retail to healthcare and real estate. He understands that these cases are about much more than dollars and cents, and they have a tremendous impact on the businesses and people caught in the middle. He always digs deep into how a particular business or industry operates and the specific regulations involved so he can identify the most practical options for resolving a case. Represented a secured creditor with an approximate $50 million claim in a large real estate bankruptcy case. Represented corporate and individual debtors in obtaining confirmation of Chapter 11 plans of reorganization. Represented a plaintiff in obtaining a large, nondischargeable judgment against a debtor/defendant. Represented many plaintiffs and defendants in discharge and dischargeability litigation in bankruptcy courts. Represented multiple creditors in bankruptcy cases pursuing significant claims against debtors and debtors' bankruptcy estates throughout the country. Represented multiple Chapter 7 and 11 debtors. Represented clients purchasing significant assets from various bankruptcy estates. Represented various insurance carriers regarding the effect of a bankruptcy filing upon insurance policies and the proceeds thereof. Represented various plaintiffs and defendants relating to the avoidance of transfers including preferences and fraudulent transfers and other causes of actions pursuant to Chapter 5 of the Bankruptcy Code. Represented officers and directors of corporations in bankruptcy cases providing advice and consultation regarding their obligations and other fiduciary duties. Represented numerous debtors and creditors in virtually all aspects of proceedings and other litigation in bankruptcy courts around the country. Represented a former officer of a corporation in bankruptcy as a defendant in securities fraud litigation which resulted in the dismissal of such claims against the client with prejudice. The dismissal was affirmed by the United States Court of Appeals for the 5th Circuit.